Pixorange is a giant collection of the best News and interesting links on the web! 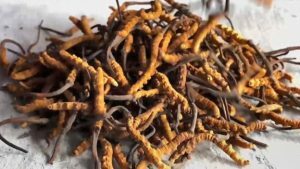 A caterpillar fungus named “Yarsagumba” which is found in higher altitudes of Tibet, Bhutan, Nepal, China and North east of India is the most expensive insect-herb and is used for medical purpose. Users of Travel + Leisure website had rated the idyllic resort of Nihi Sumba with a score of 99.12 out of a possible 100 as part of an annual contest. In the “peak capitalism” move, KFC is teaming up with World View which is a private spaceflight company to send a chicken sandwich to the space. This will be a four day trip to stratosphere, almost 7-30 miles off from the Earth. Facebook, the famous social media is reportedly working on developing a smart speaker that will feature a 15-inch touch screen. The product is expected to be launched by 2018. Are you planning to travel solo? Well, then obviously you will enjoy yourself a lot. But, apart from just making your adventure fun-filled, it is also essential to look after the safety factor. The emergence and growth of artificial intelligence have transformed the way of life across the globe. The smartphones are not merely the smart phones, they are much more. If any current account or savings account is not active for more than two years, then it will be considered as dormant or inoperative. This guideline has been passed by the Reserve Bank of India.